Its an all SoCal JUCO Championship this year at Las Positas College! Fullerton verses San Diego City at 1 p.m. this afternoon. Yesterday, Fullerton rolled over Feather River 84-60 and San Diego shocked San Francisco 79-77. 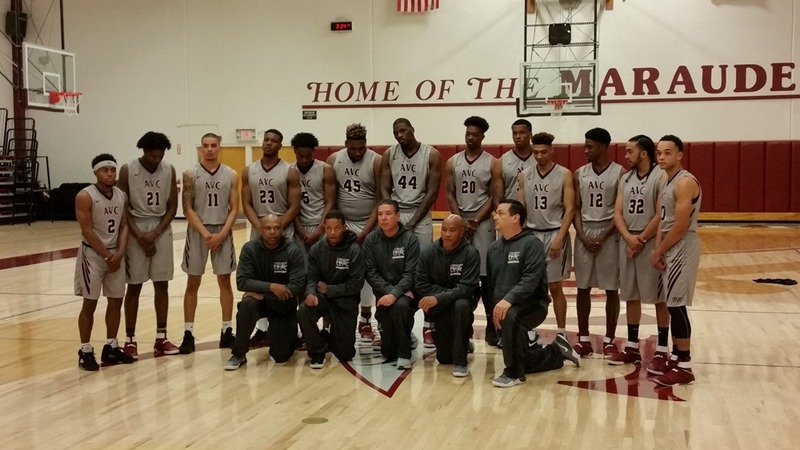 The Antelope Valley College team who lost in the first round of this State Tournament was one of the top eight teams in the state’s 93 JUCO teams. Now the team will finish its academics this semester and universities will be recruiting with the five sophomores who will be moving up. An exciting time. The six returning freshmen will be working on their academics and now will take leadership on next year’s basketball team. Been a great season for AVC. Drowning Our Sorrows After AVC Loss at French Cafe Just Outside Stanford U.